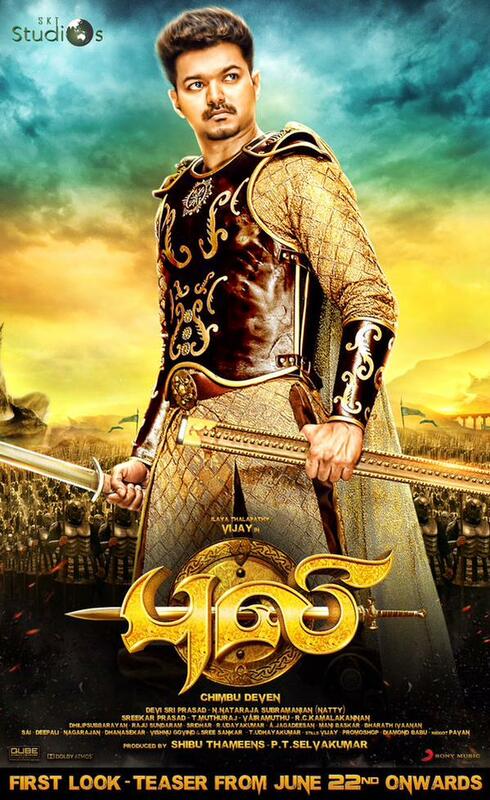 ‘Ilaiya thalapathi’ Vijay’s Puli is post-production works going in full swing. 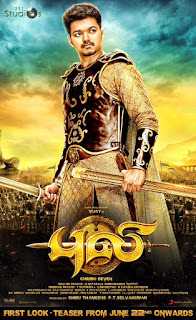 This is the first that Vijay doing fantasy-epic-thriller movie. Director Chimbu devan works hard to give final touch to most important film of his career. This Period-fantasy film need lots of graphics work. Graphics works are not yet completely done, Russia. Ireland, Ukraine, Denmark, Armenian technicians are working hard get job done as soon as possible. Movie actually planned to release in July, but due to delay Graphics works the release postponed to end of August. Recently the teaser of the movie released on 21st june celebrate Vijay’s birthday. Teaser gets extraordinary response from both the audience and stars from Kollywood. Already teaser reaches 2 million views in just 2 days. Still its going strong to break all Kollywood YouTube records. Songs of this movie was composed by Devi Sri Prasath. Songs are expected to release on the first week of July. Surely there will be another treat waiting on that day for Vijay fans.